The MK14 is the latest entry to the Geissele line up of Super Modular Rails. 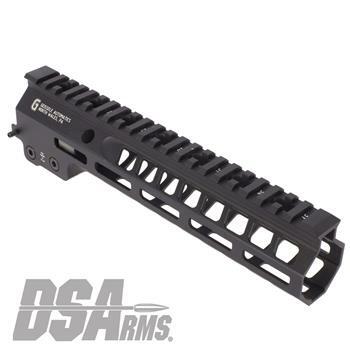 The new handguard design offers a smaller diameter and overall height to create a slimmer package. Included with the MK14 Super Modular Rail is an updated version of the proven Geissele Barrel Nut design, not only providing ease of installation but superior rigidity. The long surface contact of the 2.25" barrel nut interfaces with the receiver creating a platform that can be trusted to be straight and true the entire length of the free float rail. The MK14 is 3d precision machined using 6061-T6 Aluminum due to its strong, rigid and lightweight properties.